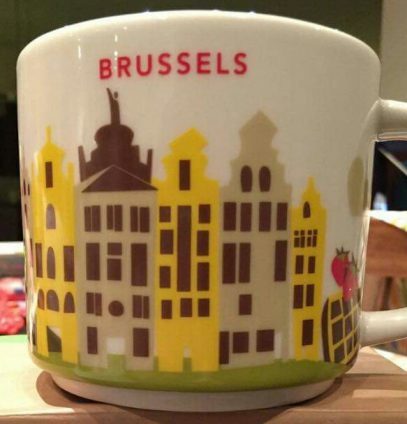 This Icon mug came from Gent, Belgium. Purple is used as its theme color. 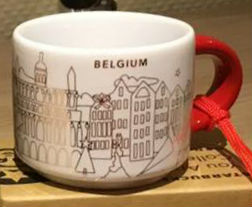 Saint Nicholas’ Church can be seen on the front of the mug and Gent waterfront on the back. 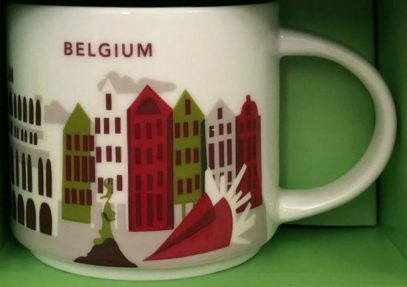 This Icon mug came from Liege, Belgium. Red is used as its theme color. 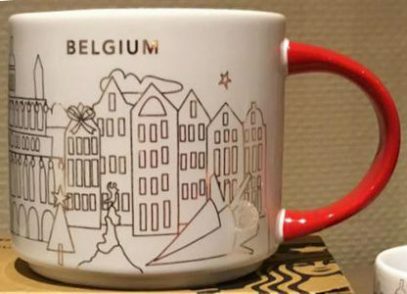 Perron can be seen on the front of the mug and La Batte Market on the back.